ESTATE OF EVA ADKINS WELL KNOWN OWNER OF THE COMMERCIAL POOL AT 110 SWIMMING POOL LANE, COEBURN, VIRGINIA. REAL ESTATE CONSISTING OF 121+/- ACRES INCLUDING 2 HOUSES AND NUMEROUS OUTBUILDING OFFERED AT 11:00 A.M. FOLLOWED BY SEVERAL ITEMS OF PERSONAL PROPERTY. AT THE CONCLUSION OF HER PROPERTY ANOTHER ESTATE WILL BE OFFERED AT ABSOLUTE AUCTION, THAT OF ELSIE EDWARDS CONSISTING OF A 2007 SUBARU AND 2000 SINGLE WIDE. MRS ADKINS ALONG WITH HER HUSBAND OPERATED THE POOL, THE COUNTRY STORE AND RESTAURANT FOR MANY YEARS. THERE ARE A TOTAL 121+/- ACRES BEING OFFERED IN 4 TRACTS. ALL TRACTS & PERSONAL PROPERTY WILL BE AUCTIONED FROM THE 110 SWIMMING POOL LANE ADDRESS PROMPTLY AT 11:00 A.M. FOLLOWED IMMEDIATELY BY PERSONAL PROPERTY AND THEN THE ESTATE OF MS EDWARDS. TRACT # 1 IS THE HOME MRS ADKINS USED AS HER PRIVATE RESIDENCE. BEGINNING AS A SINGLE WIDE, MRS ADKINS ADDED ADDITIONAL SQUARE FOOTAGE AND INCORPORATED THE SINGLE WIDE INTO THE STRUCTURE CONTAINING 3 OR 4 BEDROOMS, 3 BATHS, ALL SITUATED ON 2 ACRES LOCATED AT 110 SWIMMING POOL LANE AND RT 644(LITTLE CANEY RD). THIS TRACT ALSO CONTAINS BUILDINGS THAT WERE THE RESTAURANT AND THE COUNTRY STORE. WATER FOR HOUSE FROM WELL SITUATED ON TRACT 2 AS PER WILL. PRESENTLY NATURAL GAS AVAILABLE FOR HEAT, ETC FROM A WELL SOURCE. TAX MAP 4153, 190B-1257. THESE TRACTS ARE REMOTE AND OFFER POSSIBLE RECREATION FOR TRAIL BIKES AND ATV’S. USE YOUR OWN IMAGINATION AS TO THE POSSIBILITIES. NO MINERAL RIGHTS ARE BEING CONVEYED. THE ESTATE OF ELSIE EDWARDS CONSISTS OF A 2007 SUBARU AND A 2000 GILES SINGLE WIDE. 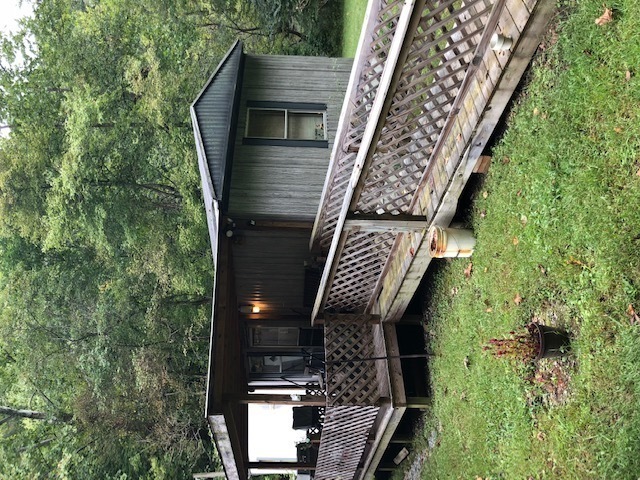 THE SINGLE WIDE IS TO BE REMOVED FROM THE REAL ESTATE AT 164 WANDA’S LANE, DANTE, VA. CONTACT AGENTS FOR ADDITIONAL INFORMATION. TITLES TO THESE VEHICLES ARE UNDER DOCUMENTS ON THIS WEB SITE. 1. Four percent buyers premium will be added to the confirmed bid on each tract of the real estate to constitute the final contract sale price. A ten percent non-refundable escrow deposit of the contract sale price is required by the end of the auction. 2. All prior years real estate taxes are the expense of the estate and shall be paid by the estate at closing if not previously paid. Real estate taxes for 2018 will be paid by the estate in their entirety. 3. No mineral rights are being conveyed. Currently the houses on Tracts 1 and 2 have the use of natural gas from the gas well for residential purposes. 6. Property is being sold subject to confirmation. The estate reserves the right to declare this auction absolute at any time up to and during the auction. 8. No sale of any property whether real or personal shall be invalidated by the purchaser as a result of not having conducted their own inspection prior to placing a bid or conducting due diligence. It is automatically acknowledged by placing a bid that the bidder has personally inspected the property, has hired an agent to inspect the property, or has waived the right to inspect the property. 10. Property is being sold subject to such conditions, reservations, right-of-ways, and easements of record, including utility easements, to the extent they may lawfully apply to the property. County ordinances may apply. 12. No additional survey expense will be borne by the seller, estate, or auction firms/auctioneer. Should purchaser desire a survey will be at his/her own expense and is in no way to delay closing. Should there be a discrepancy in the acreage either + or -, the sale price will not be adjusted in either direction and the sale price will stand as confirmed as per contract of purchase. 13. There is a well located at the house on Tract 2. This well provides water for the houses on Tract 2 and 1. The deed will include the right to use the well along with a right to maintain and replace lines, etc and to share equally in the cost for replacement of the main components of the well between the owners of Tracts 1 and 2. 14. BIDDERS PREMIUM OF 10% ON EACH LOT OR ITEM OF PERSONAL PROPERTY WHICH WILL BE SOLD AT THE CONCLUSION OF THE REAL ESTATE INCLUDING A 2007 SUBARU AND A 2000 MOBILE HOME WHICH IS PART OF ANOTHER ESTATE NOT RELATED TO EVA ADKINS. COPIES OF THE TITLES ARE UNDER DOCUMENTS ON THIS WEB SITE. THE 2000 MOBILE HOME IS TO BE REMOVED FROM THE CURRENT SITE ON WANDA’S LANE, DANTE, VIRGINIA. AUCTION WILL BE CONDUCTED FROM THE 110 SWIMMING POOL LANE & RT 644, COEBURN, LOCATION. FROM RT 63 BETWEEN FREEMONT AND CLINTWOOD AT THE 4-WAY, TAKE DC CANEY RIDGE RD (RT 637) AND CONTINUE APPROX 5 MILES WHICH BECOMES RT 649, CONT APPROX 1 MILE. TAKE RT 644 TO THE LEFT ONTO (LITTLE CANEY RD) APPROX 2 MILES TO THE AUCTION SITE ON THE LEFT AT OF 110 SWIMMING POOL LANE AND RT 644. ALL TRACTS WILL BE OFFERED FROM THE SWIMMING POOL LANE LOCATION. DIRECTIONS TO VIEW THE SINGLE WIDE–EASILY ASSESSED FROM ANY GPS AT 164 WANDA’S LANE, DANTE, VIRGINIA. FROM RT 63 TAKE AILY ROAD(NEAR ERVINTON SCHOOL) APPROX 5 MILES TO WANDA’S LANE ON THE LEFT.